Discovering the Power of Gentleness is a Gift. I was blessed to have dinner with both my parents this week for my father’s birthday. As we enjoyed food and wine and each other’s company, I was compelled to reach over and hold my dad’s hand in both of mine. We smiled at each other, said a few things, and had a moment. But what I felt was a flood of gratitude that we reached this moment in our relationship where we could express love and appreciation rather than what might have become the frustration and contempt I see in many relationships that are long in history. He was not always an easy dad. And I was far from an easy daughter. We challenged each other a lot—starting when I was age four. The lessons learned by both of us between then and now could fill a book, and I’m glad they are in the past. The lesson I didn’t fully understand until later that night, was that I was being gentle with my father and it allowed us the opportunity to connect and communicate in a unique way. Everyday life can be harsh and unyielding. Life on earth, living among humans, can be quite harsh at times—harsh to the senses and harsh to the spirit. We grow up fighting for our independence and trying to figure our the world. We struggle to become who we want to be and follow our dreams. We try to protect our families and the little bit we’ve earned, while beginning the cycle again with our own children. We need only to drive to school or work to know the world is not filled with gentleness. I will also admit, that gentle is not a word that has ever been used to describe me. Nearly every performance review I have ever had, while positive, has also included some form of “too abrupt, brash, brusque, aggressive, pushy, lacking sensitivity, bull in a china shop.” I laugh, because I think I’m really sweet! 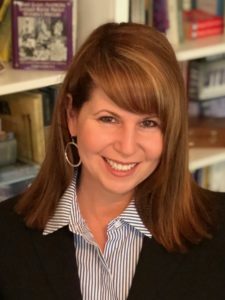 The point is, I have never been described as gentle, and I have had a long journey without realizing the importance of it in our lives and in our relationships with others. So if it’s new for you, don’t feel bad, just learn quicker than I did. 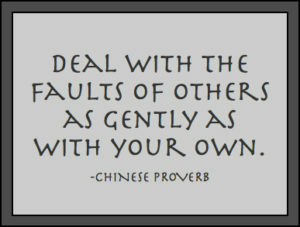 The quality of being gentle is more than being kind and careful. Gentleness is a softening in our heart that allows for tenderness and acceptance of another person exactly as they are in that moment. And the fruit of that seems to be, a relaxation in the body and spirit of the other person that creates openness and deepens relationships. Is there anyone who doesn’t need a better relationship with someone? Think about what gentleness might bring to your relationship with a spouse, parent, child, friend or co-worker. It’s powerful. 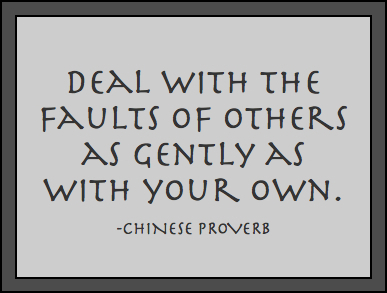 How do you tap into your gentler side? 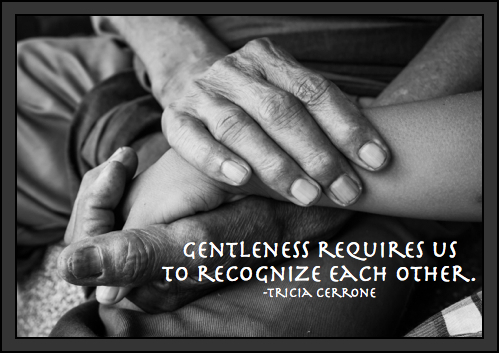 Gentleness requires us to recognize each other. We are all more than what are doing in any given moment, and yet in our rush to get through life, we don’t take the time, or want to take the time, to see the full person. It is also true, that in our efforts to understand the world and others, we have the temptation to define and stereotype people before we know them. This makes us feel more comfortable, but can be an immediate barrier. You don’t have to know about the person before you. You only have to take a breath and realize there’s a lot you don’t know about the person before you. That alone might inspire a gentler approach. True gentleness is true strength. 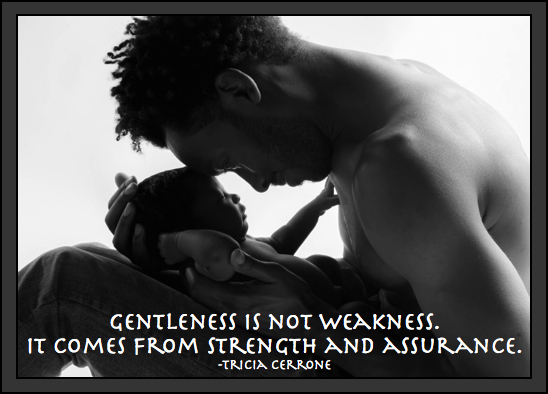 Gentleness is not weakness. In fact, it comes from strength and assurance. Who else could face a grumpy co-worker with gentleness and turn their day around. Are you trying to win over a hard-working woman? Try giving her the one thing she doesn’t get in her day. Is your child angry and frustrated, and you aren’t getting through? The playground is tough—anywhere you go. Be the opposite. Who could benefit from a little more gentleness from you? It might be hard to believe you can change the tone of a relationship by being gentle, but you can. My parents are at an age when they need that from me, and I’m now strong enough and wise enough to know how to share that with them. From gentleness I’ve gained the privilege of knowing my parents and my family in a way that many people don’t get to experience in their lives. That’s the ultimate power of gentleness—the grace that you give, comes back a hundred times more.